Mousesports will attend IEM Sydney in Australia next month, organizers ESL announced Friday. The reigning #ESLOne New York champions are bringing their renewed roster Down Under. 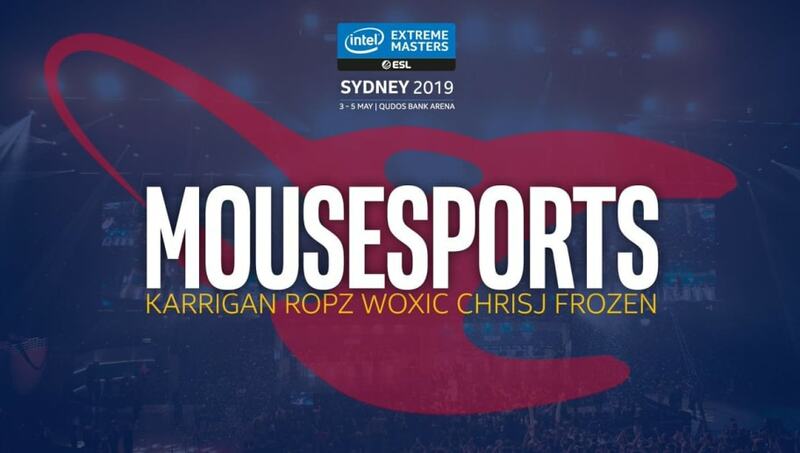 @mousesports are coming to #IEM Sydney! The ​CS:GO event will feature 16 teams in total and begin with the group stage April 30. Nine teams will be invited to compete, while the remaining seven teams will qualify through regional qualifiers. Mousesports joins five other CS:GO teams to receive invites: Organizers ​announced Renegades,Team Liquid, MIBR, FaZe Clan, ​and Ninjas in Pyjamas were invited to the tournament. At the time of writing, BIG and eUnited qualified for the event through the European and North American qualifiers respectively. The NA qualifier spot initially went to Swole Patrol, but ​eUnited acquired multiple Swole Patrol players. According to the rulebook, the team license follows the majority of the qualified players, which made eUnited a qualified team for IEM Sydney.